Nancy J. Hoebelheinrich is a digital library, archives and data repository consultant specializing in geospatial and cultural heritage resources. 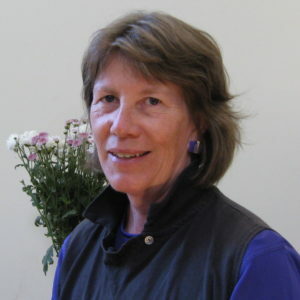 Nancy is currently founder and co-owner of Knowledge Motifs LLC (www.kmotifs.com) whose recent clients have included the Foundation for Earth Science, San Francisco Estuary Institute, California State Library, American Geophysical Union, California Historical Society, California Digital Library, Library of Congress, and Stanford University Libraries. Nancy has been active in a number of information and educational technology efforts including those of the ESIP Federation’s Data Stewardship, Partnership, Semantic Technologies, and Product and Services Committees, and the Agriculture and Climate Cluster. Knowledge Motifs LLC has been a member of the ESIP Federation since 2013 with Nancy as the voting representative.